Verifone VX520 Dual Comm EMV - TSYS Network Only. 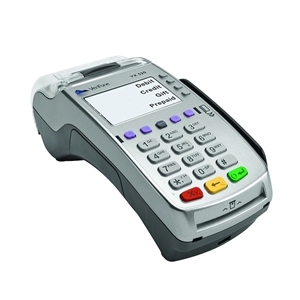 Get more of what you want in a countertop payment device with Verifone’s VX 520. Delivering unprecedented performance, lighting-fast speeds and uncompromising security, this power-packed payment device works hard for your business. Engineered with features that move more transactions and open more revenue opportunities, Verifone’s VX 520 takes transactions to a more profitable level.